An iPhone camera that won't focus properly can stem from software issues to simple blockage of the lens. The tips below should get your iPhone taking clear pics again soon enough. While a misbehaving iPhone camera can be a cause for panic, there are occasionally innocent explanations for why it's not focusing. For example, one thing you can try is taking off your iPhone's case. This might sound simplistic, but bigger cases can partially block the camera lens and/or flash. Similarly, metallic cases or attachments can potentially affect the iPhone's optical stabilization, given that such cases can sometimes be magnetic. As such, take the case off and try taking a photo without it. Another simple solution that works sometimes is to clean your iPhone's camera lens. If the lens has dirt, dust or even fingerprint smudges on it, it may not be able to focus properly. Using a microfiber cloth, clean the lens until any imperfections have been removed, and then try taking a photo again. However, if you think you see dirt inside the lens, you should take your iPhone to an Apple Store or authorized outlet (see final section below). One other method that has worked for some users involves tapping the top of the iPhone several times, using the palm of their hand or a couple of fingers. Obviously, this isn't a particularly scientific procedure, and it does need to be used with extreme caution. However, the underlying theory is that the lens may get stuck from time to time, meaning that a gentle 'jolt' could put it back into position. Once again, it's worth stressing that, if attempted, this should be done very carefully. Sometimes, focusing issues arise because of the way the iPhone camera is being used. 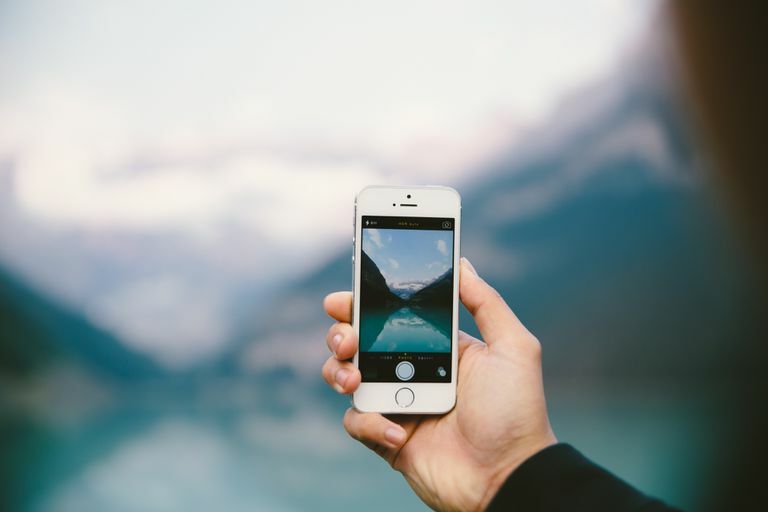 In other words, there are number of things you can do when using the Camera app in order to reduce the likelihood of taking unfocused and blurry shots. You can set the focus point of your shot by tapping on the object you're trying to photograph, which could be a person's face, a flower, or some other object. By tapping on the object like this, you let your iPhone know what you're trying to focus on. Alternatively, you can use the AE/AF LOCK to help ensure a focused picture. This stands for Auto Exposure and Auto Focus, and once these have been locked the iPhone's camera keeps the targeted part of the shot in focus. You can use this feature simply by pressing and holding – for a couple of seconds – the part of the shot you'd like to focus on. By doing this, the camera should keep the object in focus even if something else enters the shot afterwards. Other good-photography tips are more general. For example, you should avoid taking photos of subjects that are too close to the iPhone. Likewise, you shouldn't keep changing distance from the subject, moving around, or shaking the phone. This can all make it harder for the iPhone's camera to focus properly. Lastly, it may go without saying, but make sure your thumb or finger isn't in the way of the lens when using the iPhone's camera. Sometimes, focus problems arise from software glitches. In such a case, one way of resolving them is to update to the latest available version of iOS, if one is available. Hopefully, the iOS version will solve focus problems, although if it doesn't you should try the other methods mentioned above and below. One useful avenue is to go through all the different restarts and resets you can perform on an iPhone, until the focusing issues are resolved. The idea behind this is that software is misbehaving and this forces the app to start over from scratch. Normally you don't need to force the app to quit (iOS handles the management of apps for you). If you try this option, make sure you backup your iPhone first, so that you can restore all your data and apps after performing the factory reset. If you've tried all of the above measures and your iPhone still won't focus, you last option is to take your device to Apple and ask for a fix or a replacement. Here's how to book an Apple Genius Bar appointment. However, your iPhone will still need to be under warranty if you want to avoid paying a hefty fee for repairs. Usually, iPhone warranties last one year, although you can double this period by paying for AppleCare+.